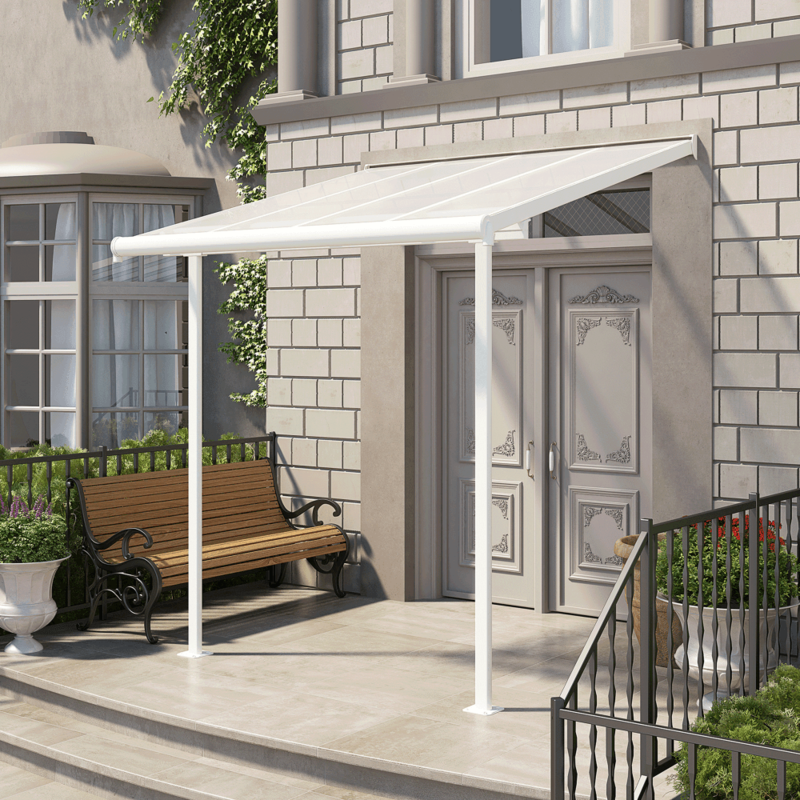 Palram Sierra Patio Cover: This elegant cover enables you to provide shelter for your outside space providing protection from the sun in the summer and the wind and rain in the winter months. The shatter resistant roofing panels provide UV protection and the aluminium powder coated frame is rust resistant and has sturdy legs. Integrated gutters allow you to collect the rainwater and this easy to assemble stylish patio cover includes a 7 year warranty against manufacturing defects. A solid level surface is required on which to position this cover.